When I see a bug crossing a (comparatively-speaking) giant expanse of man-made terrain, I see a wanderer in the desert. Not in the Biblical sense, but maybe with a biblical tone: the vastness surrounds the individual to the point where moving in any direction bears no difference to simply standing still. How does an individual find direction? Sometimes the individual has to set out and let direction find her, which may be another way of saying “have some faith.” Belief and hope are two words in high fashion, and while perhaps misused, what people are getting at, I think is the same thing. It is less religious than spiritual, and perhaps not spiritual at all but primal: to become our fears and go forth as we let go. It is a journey or maybe even a quest, but in the end it is just life. For the bug, in this case, the spider on a bathroom sink, it does just this; it goes over the undifferentiated porcelain plane as it goes over any other terrain. All lands become deserts, all books are bibles and an oasis is inevitable. 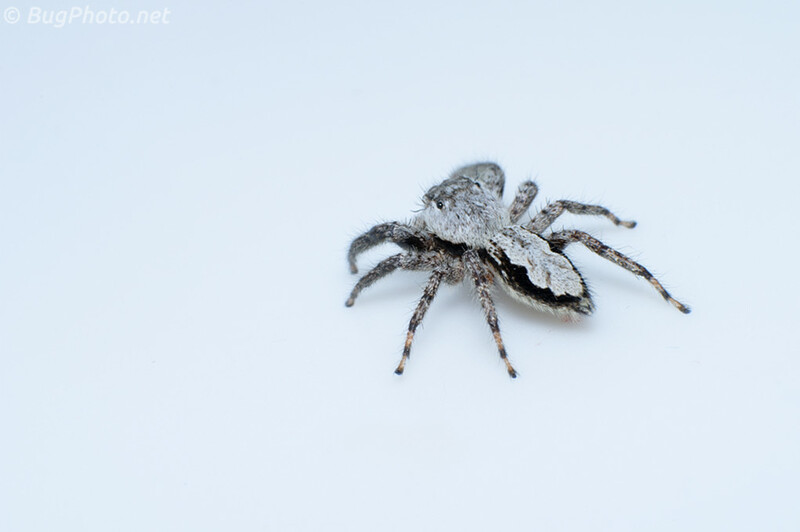 Posted in Jumping SpidersTagged belief, feeling lost, inevitable oasis, journey, porcelain, Salticidae, searching, wandering in the desertBookmark the permalink.